To claim this profile, please confirm you are Katherine Reynoso. To follow this profile, please let us know your relationship to Katherine Reynoso. RESULTLoss Girls varsity basketball vs. Somers. The Panas varsity basketball team lost Tuesday's neutral playoff game against Somers (Lincolndale, NY) by a score of 39-27. RESULTWin Girls varsity basketball vs. Pelham Memorial. The Panas varsity basketball team won Saturday's home playoff game against Pelham Memorial (Pelham, NY) by a score of 42-35. RESULTWin Girls varsity basketball vs. Nanuet. The Panas varsity basketball team won Thursday's home playoff game against Nanuet (NY) by a score of 73-48. RESULTLoss Girls varsity basketball vs. John Jay. The Panas varsity basketball team lost Wednesday's home conference game against John Jay (Cross River, NY) by a score of 49-42. The Panas varsity basketball team won Monday's home non-conference game against Pelham Memorial (Pelham, NY) by a score of 37-35. RESULTWin Girls varsity basketball @ Beacon. The Panas varsity basketball team won Thursday's away non-conference game against Beacon (NY) by a score of 32-26. RESULTWin Girls varsity basketball @ Somers. The Panas varsity basketball team won Tuesday's away conference game against Somers (Lincolndale, NY) by a score of 55-53. RESULTWin Girls varsity basketball @ Lakeland. The Panas varsity basketball team won Saturday's away conference game against Lakeland (Shrub Oak, NY) by a score of 52-40. The Panas varsity basketball team won Thursday's home conference game against Yorktown (Yorktown Heights, NY) by a score of 62-58. RESULTWin Girls varsity basketball vs. Nyack. The Panas varsity basketball team won Monday's home non-conference game against Nyack (Upper Nyack, NY) by a score of 57-38. RESULTWin Girls varsity basketball @ Greeley. The Panas varsity basketball team won Thursday's away non-conference game against Greeley (Chappaqua, NY) by a score of 46-41. RESULTLoss Girls varsity basketball @ John Jay. The Panas varsity basketball team lost Tuesday's away conference game against John Jay (Cross River, NY) by a score of 69-63. The Panas varsity basketball team lost Wednesday's home conference game against Lakeland (Shrub Oak, NY) by a score of 58-52. RESULTWin Girls varsity basketball vs. Somers. The Panas varsity basketball team won Thursday's home conference game against Somers (Lincolndale, NY) by a score of 44-42. RESULTWin Girls varsity basketball @ Brewster. The Panas varsity basketball team won Tuesday's away conference game against Brewster (NY) by a score of 44-34. The Panas varsity basketball team won Friday's away conference game against Yorktown (Yorktown Heights, NY) by a score of 41-30. RESULTWin Girls varsity basketball vs. Greeley. The Panas varsity basketball team won Wednesday's home non-conference game against Greeley (Chappaqua, NY) by a score of 46-37. 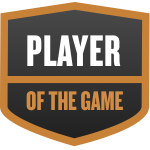 Katherine was selected the Player of the Game in the basketball game against Eastchester on Thu, Dec 20 2018. Congratulations to #12 Katherine Reynoso for being selected the Panas Girls Basketball Player of the Game. Katherine's basketball stats have been updated for the win @ Eastchester.